What element is crucial to being an effective interpreter? Answer: Strong English skills. 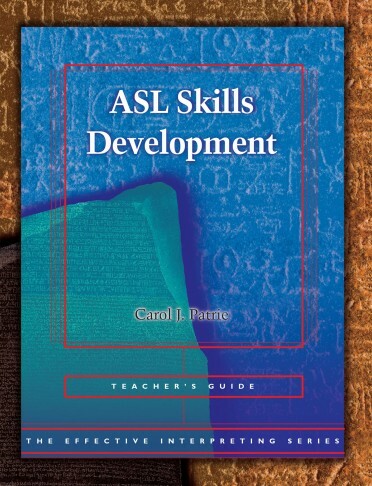 Only when students have strengthened their use and understanding of English can they transfer messages effectively to ASL. 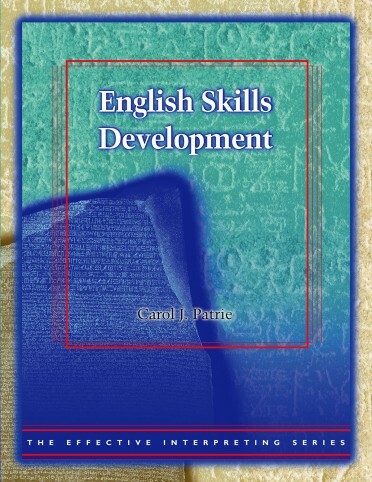 So says leading interpreter educator Carol Patrie, who promises that students will gain assurance and increase linguistic capacity once their English skills are fully developed with the aid of English Skills Development. Even for those for whom English is a first language, it's important to develop English skills with a conscious effort in order to build confidence and improve versatility as an interpreter. 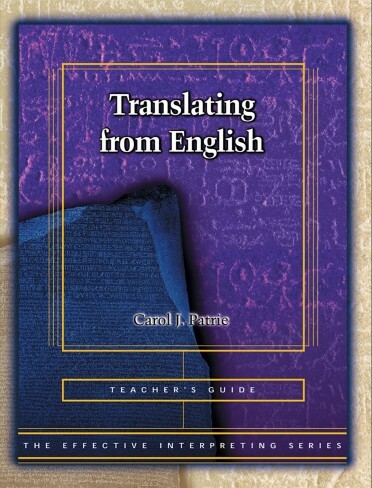 Too often, students neglect this critical area, weakening their ability to master the complex tasks involved in interpreting between two languages. Effective interpreters shift more easily between English and ASL, enjoy translating, consecutive interpreting, and simultaneous interpreting more, and have more satisfied clients. Designed for interpreting students and working interpreters, English Skills Development is full of challenging exercises with videotaped source materials to build strong English skills and trigger the kind of linguistic quickness that is essential to the interpreting process. Give your students a comprehensive, powerful learning tool with helpful theoretical Introductions for each topic, Study Questions, and a structured Five-Step Follow-Up. Give yourself a powerful teaching tool with Information for Teachers and Sample Answers. Use this innovative step-by-step approach in the classroom to improve students' English skills and turn out effective, confident interpreters. 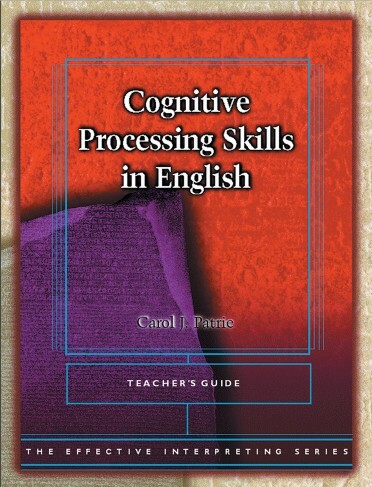 The importance of developing and refining skills in English is often overlooked in interpreter education. English Skills Development answers this need.